Holbrook Hall at Mount Ida College in Newton. Students and parents at Mount Ida College say they are furious because the college shared their private records with UMass Dartmouth without their permission, amid a controversial plan to shut down the college and offer students a chance to attend the state school next fall. Mount Ida families said they learned the students’ information was shared after they received individualized packets of information from UMass Dartmouth this week that contained their academic transcripts. Some students said they do not plan to transfer to Dartmouth and did not want their records shared. Parents said the move is frustrating because they are having trouble getting answers from the college on how their children can finish their degrees after the school closes in May. “The school won’t talk to me about anything, and yet they gave all his information to a stranger,” said Lynn Robillard, of Seekonk, who said her son does not want to attend UMass Dartmouth because it does not offer his major, a bachelor’s of science in commercial photography. Federal student privacy laws govern the sharing of academic records. It is unclear whether Mount Ida’s actions constitute a violation of those laws. A spokeswoman for Attorney General Maura Healey’s office said her office has received complaints about the transcripts and is looking into the matter. A spokesman from the US Department of Education said he could not comment on specific circumstances. He said if students think their rights were violated, they can file a complaint and the department will investigate. “Mount Ida has always followed the appropriate safeguards for all student information and continues to do so during this transition. All student records will ultimately be maintained in an appropriate location according to federal and state regulations,” said the statement from school spokeswoman Amy Nagy. Students said the packet of information they received included a records release form. They questioned why they weren’t asked to sign that form before their transcripts were shared, rather than after. Marshall, of Quincy, said some students signed the release because they didn’t know what else to do. She declined. “This whole thing is basically playing on the chaos that they caused,” she said. 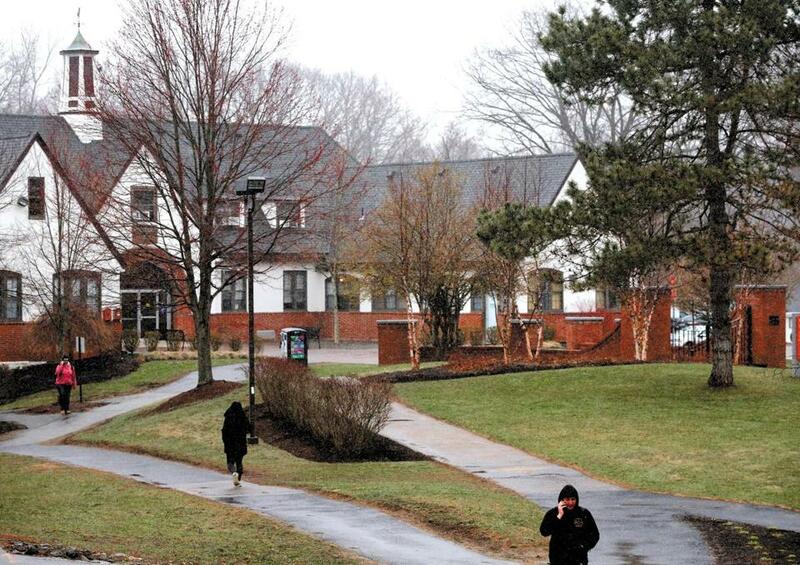 UMass Dartmouth’s offer to accept Mount Ida students is just one half of a larger plan approved last week by UMass trustees to purchase the Mount Ida campus from the cash-strapped school. UMass Amherst will assume nearly $70 million in debt from Mount Ida and in turn operate the campus as a satellite, where officials said it will house students who do internships in Boston. Although UMass trustees approved the plan in principle, a final agreement has not been signed as the parties negotiate. Students said they also believe UMass Dartmouth may have received information about their financial circumstances because they also received a preliminary, personalized financial aid offer, according to students and parents. “It makes you feel totally violated and it makes you wonder who you can trust. Can you trust Ida? No. Can you trust Dartmouth? No,” said Laurel Collins, whose daughter was studying to be a veterinary technician at Mount Ida and is now scrambling to find a place to continue her degree. UMass Dartmouth also does not offer that program. UMass Dartmouth issued a statement Friday but it did not address the question of when or why transcripts or other information was shared. “We were invited into this initiative to create a degree completion solution for as many Mount Ida students as possible. Our faculty, students, and staff are opening their arms to these students, hundreds of whom we have met in recent days. We will continue to assist these families to the best of our ability,” it said. The federal student privacy law includes exceptions for when records may be shared without student permission. One exception governs transfers, although several experts said they are not sure that exception applies to mass transfers of data before students have chosen to transfer. “The default rule is that you need consent,” said Steven J. McDonald, the general counsel for the Rhode Island School of Design and an expert in the Family Educational Rights and Privacy Act, or FERPA. Peter Lake, a law professor at Stetson University and director of the Center for Excellence in Higher Education Law and Policy, agreed. “I can’t remember a mass transfer of data like this occurring without some student involvement first, because a lot of students may not wish to transfer to the next institution,” Lake said.